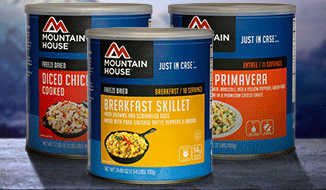 ENDS MONDAY - Up to 50% off Mountain House 30-year Food! THIS Mountain House sale is as good as it gets. We've applied maximum discounts to most of our MH listings, passing on all October discounts we are getting from Mountain House to you. - All our specially reconstructed OCT. SPECIAL multi-case packages are discounted 40 to 50%! - Even on the varieties that we are not getting price breaks on from MH, we are offering strong 25% discounts. But there are 10 popular varieties that are exceptionally well priced this month, running from 38-45% off! 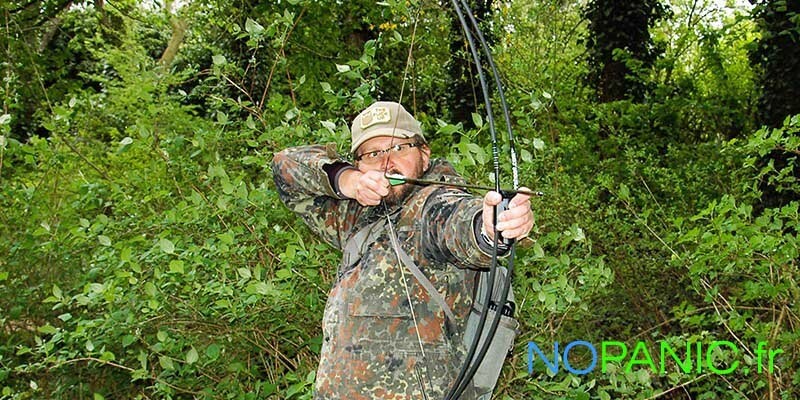 Coolest new product in our store in years: Carbon Fiber Bow and Arrow in a Walking Stick! We recently took delivery of a very small quantity of these kits from France as a test to see how fast they go and whether we should commit and stock up on them for the long term. We sold out in hours and now we are taking preorders--customers will take delivery out of our next shipment, in about a month. If you wish to get on the preorder list, please email us at jcrefuge@safecastle.com ... include your name, email address, and how many of these kits you would like to order (great gift idea!). I can say right now that I am blown away by the quality of the product, especially at this bargain price. Carbon Fiber bow, arrows and walking stick--these are no toys. The bow is said to have the best power to weight ratio in the world. I believe it. 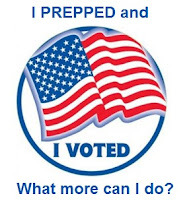 Order NOW -- Get your preps shipment by election day! Who will win the election? Who knows. I suspect we all may lose in the long run. Be ready--order now and we'll get your shipments to you before you put that "I Voted" sticker on. 2. As you checkout, use this code in the coupon field: FREEDOM and follow thru the checkout process, making sure you click on "Place Your Order" at the end. Think your preps will go for naught? See light at the end of the tunnel and a happy outcome? I'm sure you know plenty of folks out there who have not a worry or care about the big picture. Who don't even want to hear about all the threats piling up to our way of life and who laugh at the thought of wasting any time, energy, or money to try to prepare for tough times. It leaves each of us with a little dilemma ... do we use our own preps to try to save others when the time comes? Bottom line here--there are a whole lot of us who can see and hear the crisis barreling down on us like a high-speed freight train rounding the bend. We think, therefore we prep. Some folks are so wrapped up in the most ridiculous excuse for a presidential season ever seen that they are oblivious to the fact that in recent weeks we have stepped into a global situation so serious it is being compared to the Cuban Missile Crisis. This morning, CNN is reporting that this is not even just another Cold War with proxies doing battle on the behalf of nuclear powers Russia and the U.S., but that it is now open military conflict between the powers themselves in Syria and potentially elsewhere. How is that possible, you might ask, since nary a peep is being reported in the mainstream media in America? Missiles are being fired back and forth in the Gulf of Aden. Today, Iran is sending destroyers to the area. UK fighter pilots have been ordered to shoot down hostile Russian fighter jets over Syria. 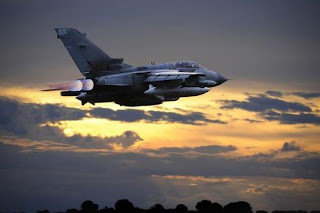 Russian fighters have been ordered to shoot down US planes that get in their way. Russia has ordered government officials to immediately bring back their children studying abroad, and reports also suggest the order extends to any relatives living outside of Russia. The US administration has effectively stated they will hack Russia in response to Russian hacking of US government and business operations. The Russians are repeatedly warning of nuclear war and have held a gigantic civilian sheltering drill within their country. If you're not paying attention yet--wake-up. None of us ... nay not even all of us together can change what is happening now. But what you must do for the welfare of your loved ones is to prepare for a world at war, an economic collapse, and civil chaos and lawlessness in every neighborhood. Stock up today on all the necessities--check your preps and top them off. Do what you need to do. 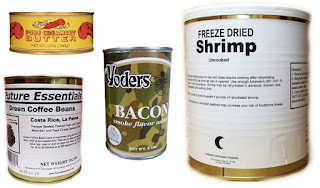 For all the details on our new surplus freeze-dried Shrimp, creamy Red Feather Butter, the legendary Yoders Canned Bacon, and the Costa Rican Green Coffee Beans with a shelf life of more than 20 years, see our latest email. 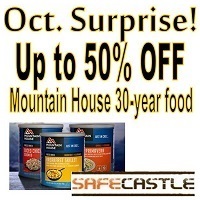 October Surprise: Up to 50% off Mountain House Food! 40% to 50% off All Multi-Case MH Packages! Up to 45% off MH Single Variety Cases! Side-note: Hope you are paying attention and taking your cues from all the harrowing developments out there in the rapidly devolving world condition. All we can do is prepare to the best of our abilities, and thankfully we do still have that option. THIS MH sale is as good as it gets. We've applied maximum discounts to most of our MH listings, passing on all October discounts we are getting from Mountain House to you. 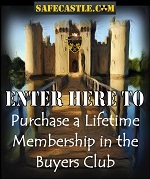 Sales numbers in the preparedness marketplace are taking a big jump and increasing daily--don't wait long. Buy an All-American Sun Oven, get a FREE $42 pot set! 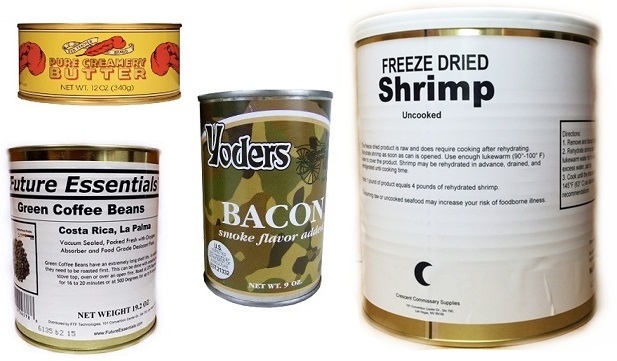 Cook, bake, dehydrate or boil with the world's most universal power source--free sunshine! The All-American Sun Oven can reach temps of 400F and boil or pasteurize water, cook and dehydrate most any food, and it weighs only 22 pounds. It is ruggedly built and is totally safe. Through October, when you purchase the All American Sun Oven, you'll also receive the pot set that is worth $42! Gotta have one of these! 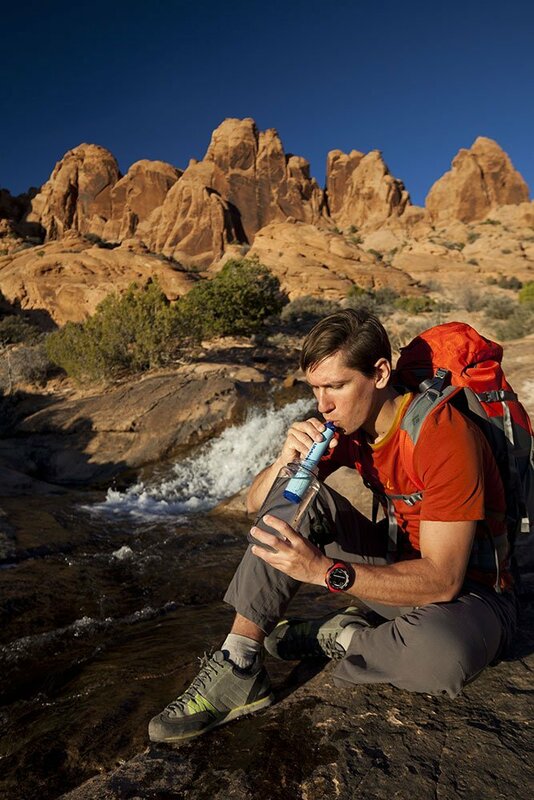 Lowest LifeStraw Price PLUS your choice of cool prepper FREEBIES!